Black wig. Brand: Electric Lingerie. A little bit Grecian and a whole lot glamorous, this floaty, crinkle silk dress will see you through all manner of occasions, from weddings to any form of knees-up frankly. We think the layered waistband makes it really special. Team it with our sparkly, embellished heels and feel like the goddess you are – even if you’ve got to be ready in five minutes flat. Coin slouch bag 88% Cotton,12% Metallised fibre. Machine washable. 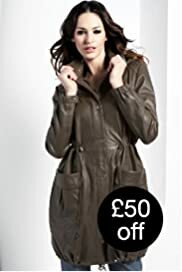 Beautifully designed and luxurious, this hooded parka is made from real leather. A sophisticated, contemporary look. LEVI’S® 629 jeans with a trendy wash! 5-pocket cut. Denim. Slightly hipster waist (2 to 3 cm below the navel). Zip fly. Slightly flared hems, 48 cm. Length 32. 88% cotton, 12% elastomultiester. Bag in softly glazed leather with studded detail on the front. Curved handles to carry as a shoulder bag. Large pocket with fancy flap on front, fastened with concealed magnetic press-stud. Inside unlined with 1 ruffled pocket and 1 zipped pocket in cotton. Raw edged trim. Size 34 x 37 x 14 cm. With a faded print of the words ‘Polo’ and ‘New York’ and an image of an eagle.